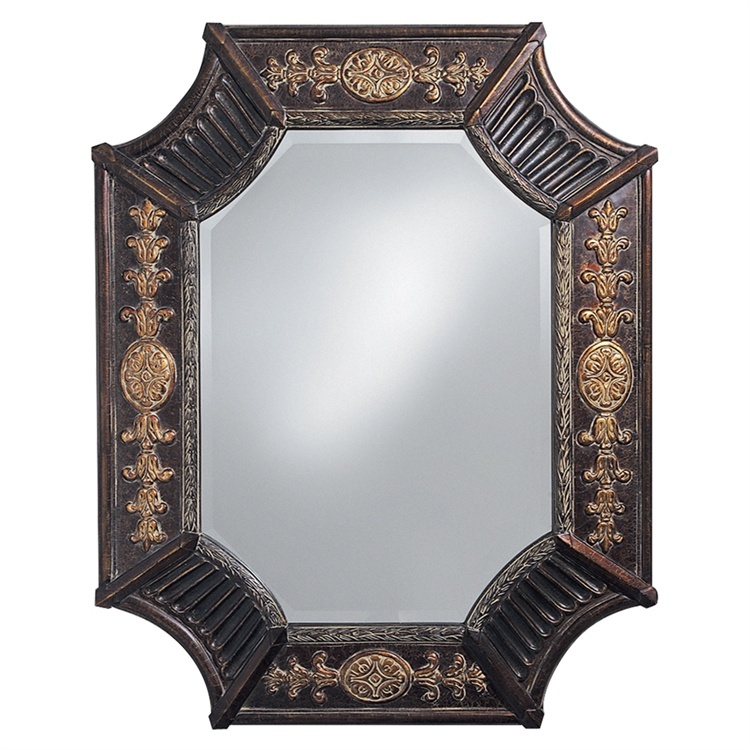 The Orleans Mirror features a rectangular frame with scalloped corners. It is finished in a deep French brown. Each side is ornately decorated with antique bronze medallion designs. Alone or in multiples, the Orleans Mirror is a perfect accent piece for any design. Hang in either a horizontal or vertical orientation. The mirror on this piece is beveled adding to its beauty and style. Customizable for larger orders.